We’ve all been there. You’re sitting in your campus library with your books and laptop laid out just right. You’re all ready to start writing that research paper…when a friend comes by and plops down in the seat next to you. You spend a few moments catching up and then a few moments turns into an hour. Suddenly, you’ve lost the better part of an afternoon as more friends join the conversation and now you’re all debating dinner plans. Oh, and the motivation to write? Yeah, it’s gone. While all the campuses in Chicago have great study areas, they can start to feel a bit dreary after a while. Whether your library is making you a little stir crazy or your student union is way too much of a distraction, Windy City Secrets has the perfect spot to cure your study stress. 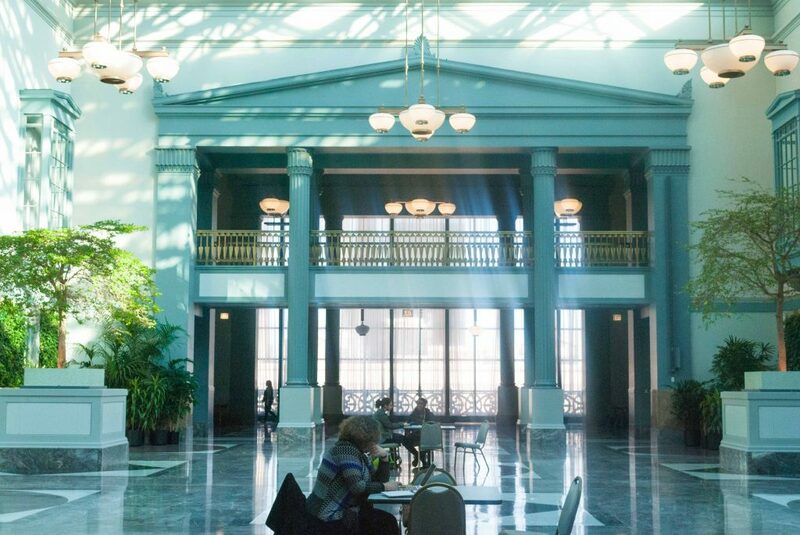 Part of the Chicago Public Library System, The Harold Washington Library Center is just south of the Loop. It’s a stately brick building with ornate, green sculptures at each of its corners. In other words, you can’t miss it. 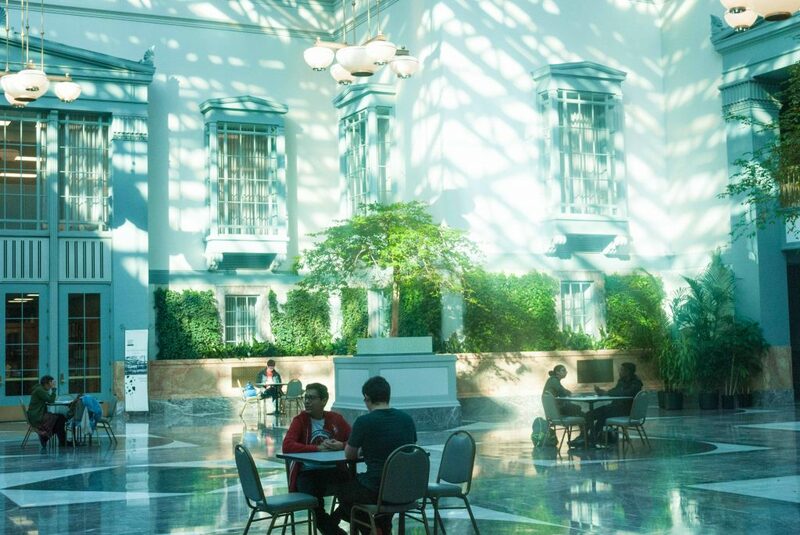 When you visit, head straight up to the ninth floor to study in a grand, ballroom-sized space with soothing greenery, an all-glass roof, and streaming sunlight. If you’re looking for a cozier corner, start winding your way down the rest of the building. The outer walls are lined with more private, arched hideaways complete with personal desks and minimal social interaction. Between book shelves, there are larger tables if you like to spread out or are working in groups. You can also reserve a personal or group study room to really minimize distraction. The library is equipped with computers, printers, and, of course, books! Everything to start (and finish!) that essay you’ve been putting off is right there. 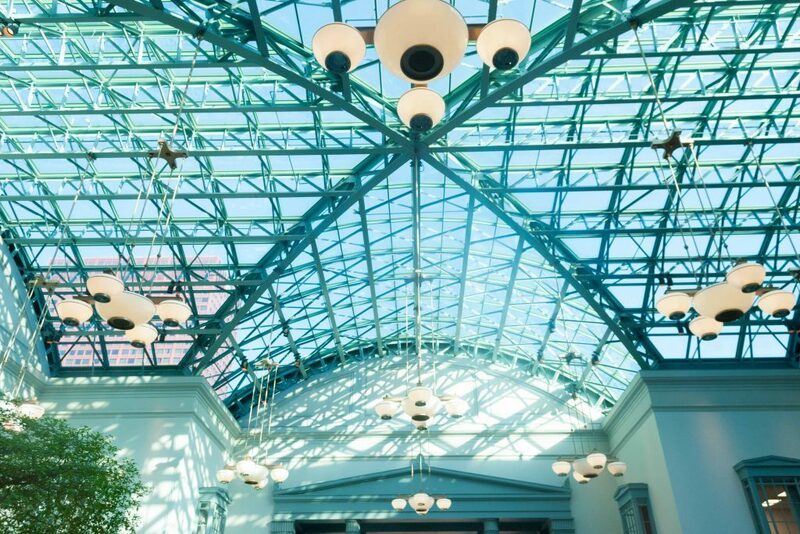 If you’ve studied at the Harold Washington Library before, tell us about it in the comments below! Also, be sure to ‘Like’ us on Facebook and follow us on Instagram (@windycitysecret) for more secret study spots! I love this!! I totally have that problem with people in the IC, and love the energy of downtown! I’ll check this out 🙂 Thanks! Which Chicago neighborhood do you think has the best secrets?